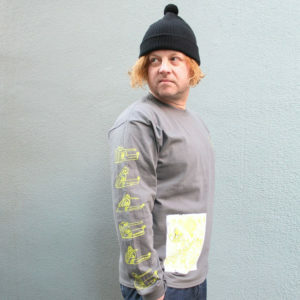 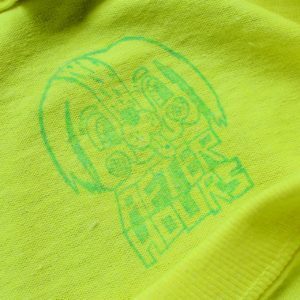 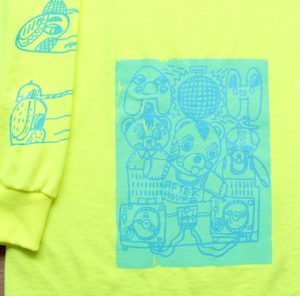 Nishio Yuhta has produced a new color version of our collaborative AFTER HOURS T-shirt. 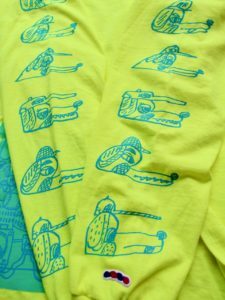 I love his choice of fluorescent yellow / green T-shirt with blue and green print! 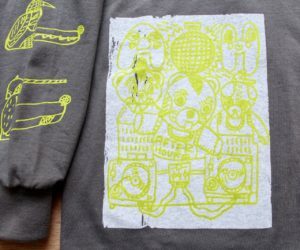 I’ve just received some samples of the my recent T-shirt collaboration with manga artist Nishio Yuhta. 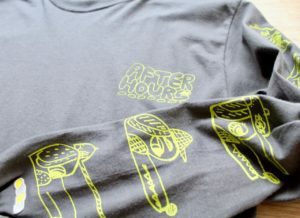 The manga is called ‘After Hours‘ and is about DJ/club culture in Shibuya from a female perspective.